Home / News / Waffle House employee reportedly refuses to serve 4 police officers. Restaurant quickly responds. 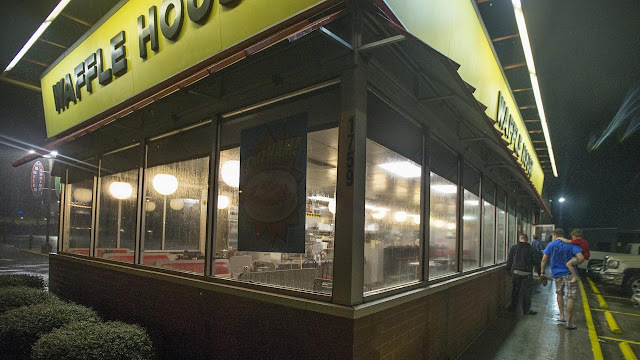 Waffle House employee reportedly refuses to serve 4 police officers. Restaurant quickly responds. Jennings Police Department Chief Danny Semmes says that a Jennings, Louisiana, Waffle House reportedly refused to serve four police officers on Saturday morning. According to KPLC-TV, Semmes said that a Facebook post made by Jennings Police Officer Ryan Courville alleged that a Waffle House employee refused service to four officers simply on the grounds that they were police officers. KPLC reports that the Facebook post was shared more than 800 times as of Saturday. The original post has since been deleted, according to KATC-TV. At the time of this writing, Semmes’ post has received over 100 likes and has been shared over 70 times. Did the Waffle House respond? KPLC reported that the Waffle House also issued a statement apologizing for the incident and promised to conduct a review into the allegations in order to take the appropriate action in a swift manner. Our management team has reached out to Chief Semmes and apologized for the incident. We are conducting a full review, and once we get all the facts we will take appropriate action quickly. Our goal is for every customer to have an enjoyable experience. If we do not deliver on that promise, we work hard to rebuild the customer’s trust.